Too often, universities use studies about themselves as marketing opportunities rather than a chance to understand reality. This is especially true with “economic impact” studies that purport to examine a university’s effect on a local economy. One recent example, for the University of North Carolina at Asheville, unfortunately, follows this mold. 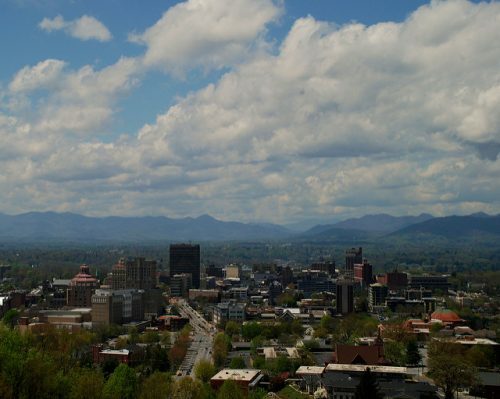 Produced by a consulting firm called SYNEVA Economics for UNCA, the study concludes that state government spending on UNCA has an annual economic impact on the Asheville region (Buncombe, Madison, Haywood, and Henderson counties) of $450 million. This is generated by spending that flows from state taxpayers through the university and out into the community. The study includes expenditures made by campus operations and construction, alumni who live in the area, student and visitor spending, and new residents attracted by the university. The return on state spending for the Asheville region declared by the study is impressive, to say the least. Every dollar the state of North Carolina spends on UNCA generates well over an 1,100 percent return to the Asheville area in terms of increased GDP. However, any impacts on other parts of North Carolina related to wealth transfers from taxpayers across the state to the university are not mentioned. In other words, the study says nothing about whether these subsidies are worthwhile for the state, only that they benefit the Asheville region. SYNEVA obtained their results by utilizing a proprietary “off-the-shelf” economic impact model frequently used in these kinds of studies called Impact Analysis for Planning (IMPLAN). Consequently, from an economics perspective, SYNEVA makes a fundamental error generally found in IMPLAN-based studies. Because of this error, the study does not, in fact, represent a meaningful analysis of the effects that it claims to be measuring. That error is that the study—as is often the case with IMPLAN-based studies—ignores opportunity costs; that is, it ignores the fact that the resources being consumed by the economic activities of the university, like all resources, are scarce. This means that the study does not assess the alternative uses of the resources—land, labor, and capital—when it analyzes the university’s economic impact. This is the most fundamental error found in economic analysis and is often made by people who have no serious training in the discipline. Because of this, the study does not even provide enough information to determine whether UNCA’s impact on economic activity is positive or negative. Objectively quantify local spending that occurs as a result of the presence of UNC Asheville; and track that spending as it moves through the local economy. Results of the analysis can demonstrate the economic contribution to and value of UNC Asheville in terms of local[sic] supported jobs, increased income, value added, raised economic output and additional tax revenues generated. However, the problem is that by simply tracking spending without also examining the possible alternative uses of the resources that are being absorbed by that spending, the actual impact on jobs, income, output, etc. cannot be determined. The study examines what are called direct, indirect, and induced effects of the university’s spending. Direct effects relate to those industries that receive revenues as a result of expenditures made directly by UNCA, typically employees and suppliers of goods and services to the university. Indirect effects are the result of expenditures made by those individuals and businesses who are the beneficiaries of the direct effects. Induced effects are the result of household spending increases in the local economy more generally that occur as a result of the direct and indirect effects. To get the total effect, the impact of all three are added together. The fatal flaw within the study is that all university spending uses resources in the local economy that, under normal economic conditions, would be used elsewhere if it were not being diverted because of increased demand generated by the spending. These alternative uses also would have had their own impacts on employment, income, and additional output as a result of direct, indirect, and induced effects, which are the opportunity costs of the UNCA spending. These costs relate to economic activities that do not occur because they are pre-empted by UNCA’s expenditures. This is the nature of all opportunity costs—they are unseen but nonetheless real and therefore part of the economic impact. Unfortunately, they are never accounted for in the study. This is typical of studies using the IMPLAN model. A truly meaningful economic impact study would estimate these forgone opportunity costs and subtract them from the directly observable effects. This is the nature of all opportunity costs—they are unseen but nonetheless real and therefore part of the economic impact. Unfortunately, they are never accounted for in the study. A simple example can be illustrative. Under the category of capital spending, the study notes that UNCA will spend $33.8 million constructing a new apartment-style residence hall. The study estimates that such capital projects, between 2017 and 2021, will add $3.1 million to local income and increase local output by $31 million, “supporting” 224 local jobs, among other impacts. Nineteenth-century economist Frederic Bastiat would call these the “seen” effects, i.e., those that can be directly observed. But it is at this point where this and other similar economic impact studies fall short. In not recognizing that there are opportunity costs associated with this spending, it ignores what Bastiat called the “unseen” effects. These would be the economic impacts associated with forgone opportunities that, while not directly observable, are just as real. In spending $33.8 million to construct this residence hall, UNCA will use a host of contractors—construction, electrical, etc., who in turn will use labor with many different skill-sets and capital of all kinds. But unless one assumes that these contractors would have no other work and that there will not be other uses for the labor and capital that they employ, what the university, in fact, will be doing is bidding these resources away from other projects in the local economy. The $33.8 million dollars is actually a claim on scarce resources that have alternative uses. It is likely that the 224 jobs “being supported” by the project will use workers who are being bid away from other projects that would otherwise employ them. This would be particularly true in a city like Asheville where the unemployment rate in December was 3.6 percent, meeting almost any economist’s definition of full employment. This suggests that the project will push wages higher for other employers. What is the impact of higher labor costs on their output? Are their building projects getting delayed or canceled because the university bids away the scarce time and resources of these contracting firms? 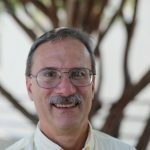 Going even further, similar questions regarding the opportunity costs generated by all of the direct, indirect, and induced spending from this project would need to be asked. So, what is the SYNEVA study actually measuring? It should be clear that it is not really the economic impact of UNCA spending. Such a measure would have to include both “the seen” and “the unseen.” After all, if only the positive effects of university spending are measured, then, of course, the results will be positive. Instead, the SYNEVA study should be viewed as measuring the extent to which UNCA is laying claim to local resources and diverting them away from other productive uses in the region. Ideally, these are impacts that the university should be trying to minimize. By employing an economic impact study that only solves half of the equation, the state government is making major policy decisions based on inadequate information.